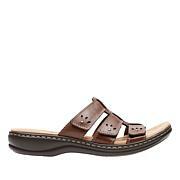 An ultra-wearable flip-flop with no shortage of personality, Clarks' Arla Glison sandal provides the best of comfort technology with classic feminine appeal. 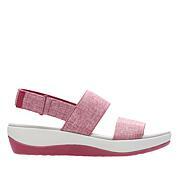 A fabric upper feels delicately soft between the toes, while an EVA midsole keeps the sandals feather light. 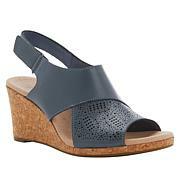 The signature Ortholite® footbed with Cushion Soft technology ensures optimal comfort all day. 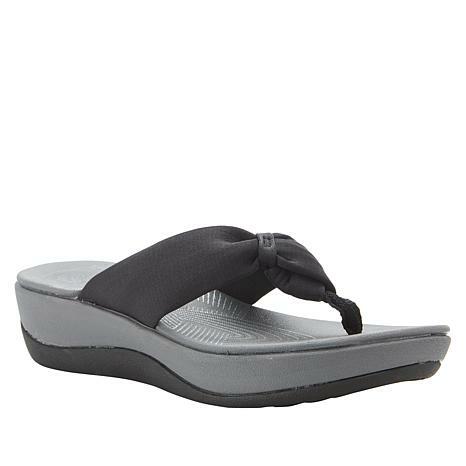 These are very comfortable and stylish sandals. The green is a light olive color. I have these in heather gray also. True to size. Slide into comfort with a flexible flat boasting a mod design. The cutout leather band sets a chic tone for casual days, but you could wear the Dana with little dresses, ankle pants, palazzos — the list goes on and on.